Loud calls echo through the dry deciduous forest of northwestern Peru. A peculiar creature with a black body, white primary feathers and a red throat emerges in search of its mate. The animal is the aptly named white-winged guan – thought extinct for nearly a century! The white-winged guan is endemic to the foothills of the Tumbesian region in northwestern Peru, where it inhabits dry wooded slopes and ravines. First discovered in 1876, this rare species was feared extinct for nearly a century. Peruvian Gustavo del Solar and U.S. biologist John O’Neill rediscovered the bird in 1977 in the steep canyons of the lower Andes. This unusual species – the size of a hen and resembling a turkey – is typically found in pairs or small family groups. It is a territorial bird, especially during the breeding season, when it gives loud distinctive calls which can be heard from up to two miles away. The guan feeds primarily on vegetable material (fruits, flowers, seeds and leaves) from at least 34 species of trees and bushes of the dry forest. It plays a key role in a healthy, well-balanced environment, promoting forest growth through seed dispersal. The initial decline in the white-winged guan was believed to result from overhunting, which continues to be a serious threat today. Though conservation efforts have made some headway in stabilizing its population,the bird is classified as Critically Endangered, with an estimated population size of around 150 to 250 individuals. In addition to hunting, the species is threatened by habitat destruction and fragmentation.According to Alliance for Zero Extinction, over 90 percent of the original forest cover of the guan’s habitat may have already been deforested. all birds by supporting Nature and Culture. 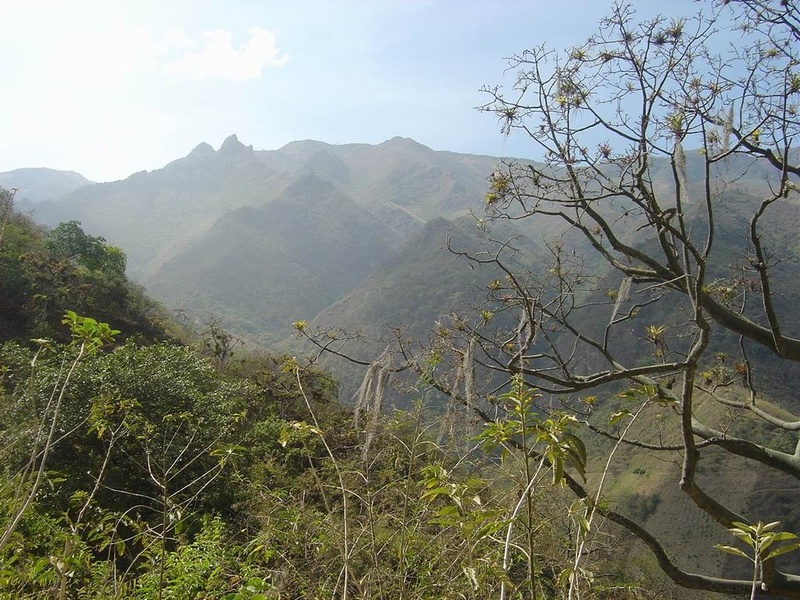 Nature and Culture’s Salitral-Huarmaca Regional Conservation Area (RCA) protects more than 69,000 acres of endangered dry forest in northwestern Peru. Established in 2011 with our local partners, this vast area shelters critical habitat for the white-winged guan, as well as other flora and fauna in the area. The Piura Regional Government currently manages the reserve. Did you miss our last featured bird? Learn about the rare orange-throated tanager here.